Here is what I sent to Rach. I studied some Barnacles from photos I had taken at the beach. I also have some stuck to a mussel shell that my Mum found on the beach and gave to me. 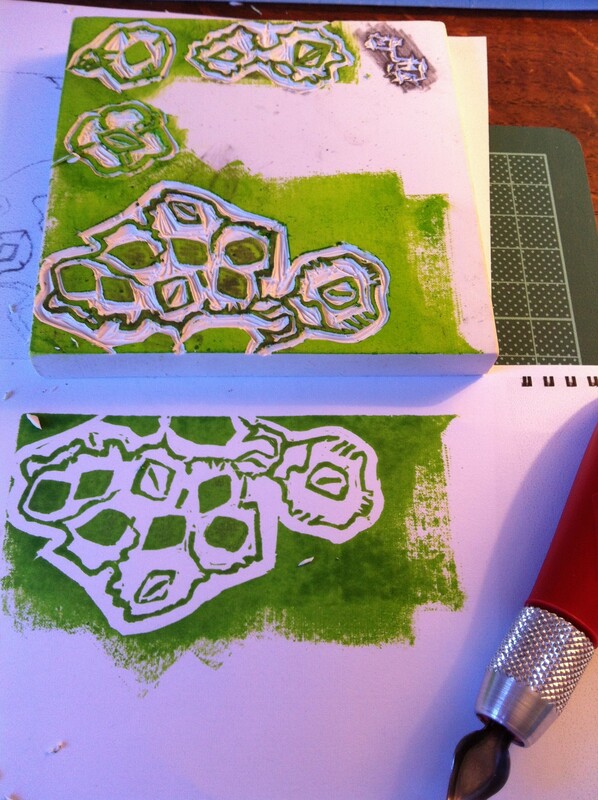 I drew some and then carved the shapes out of a lovely soft printing block. I was given this block by a good friend and have fallen in love with it. Unfortunately it is no longer made! It was very easy to carve (once I had doubled my original drawing size, as the way I started was just impossible to carve. It was far too small and detailed. I am a complete print-making amateur so it has all been trial and error). I tested the print with green ink and this helped me to see where the ink was catching and where I needed to carve a bit more. 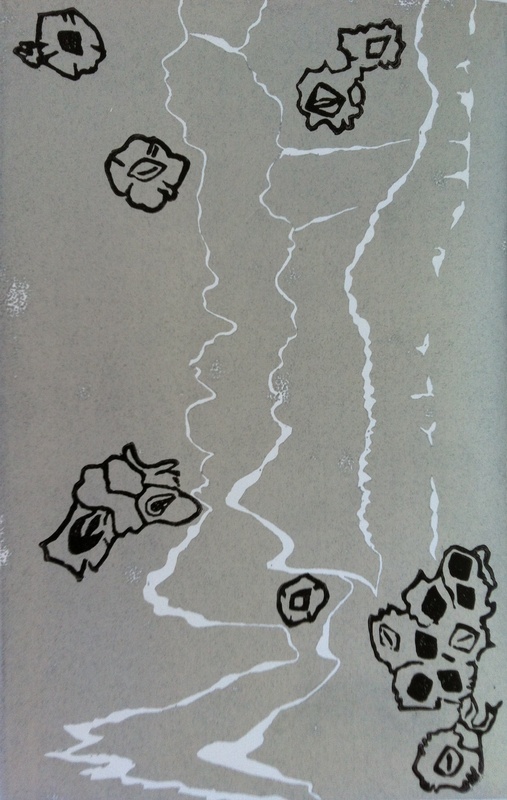 I also created a pattern based on a photo I took of gentle waves coming into shore. I printed this with silver ink. Once it was dry I added the barnacle shapes. This was my initial intention for the finished project. 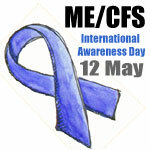 I wanted to do something to mark (celebrate!) the fact that I now live on the coast, and just found the two patterns (waves and barnacles) and combined them. 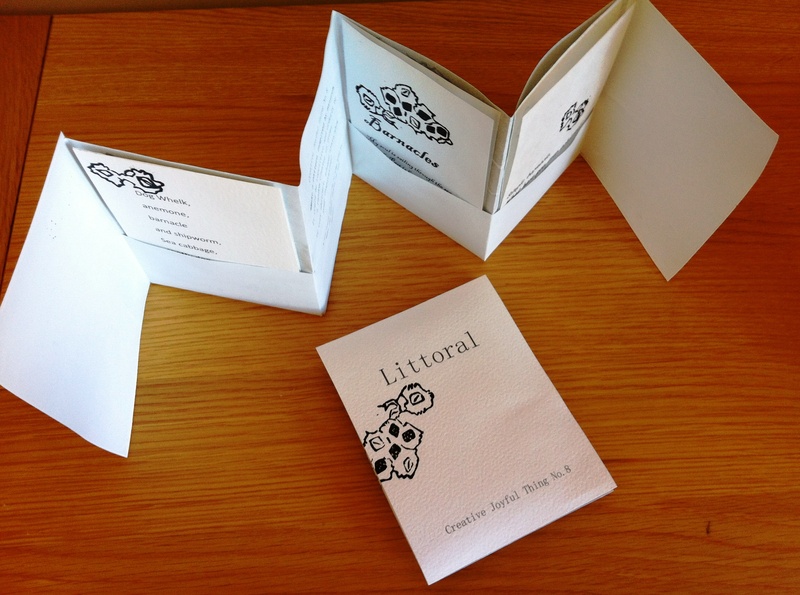 However, I recently attended a book-making workshop and thought that I could present this print in the form of a book. I flipped through my new book-making book (Making Handmade Books by Alisa Golden) and really liked the concertina design with pockets. I realised I could put two prints together and make four pockets. So then I needed to think of something to put IN the pockets. I know that Rachael likes poetry so I googled for “barnacle poem” not thinking that anyone would have written about barnacles. How wrong I was! Sidney Lanier – Macon, Georgia, 1867. What have you ever achieved? So along with the CJT8 brief, I had all four pockets filled. 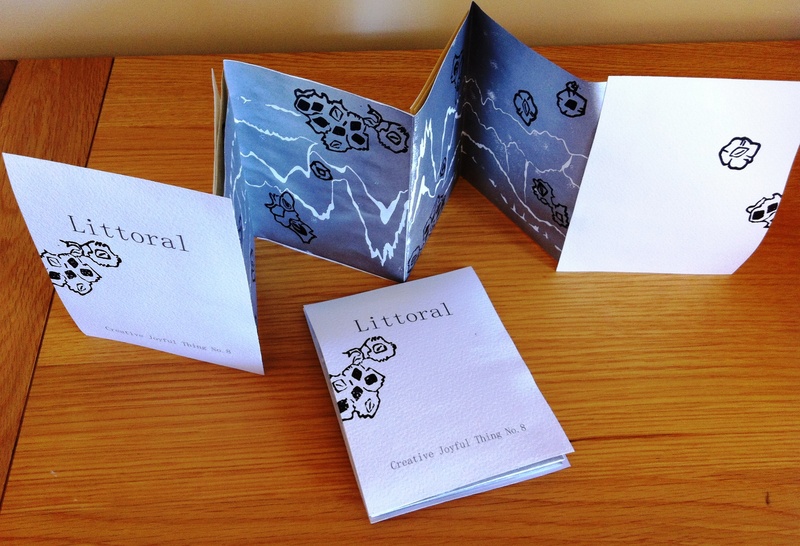 I made a cover, and called the book “Littoral” which is a word I learned in French, it means “coastal” generally, but can also mean the area between the high and low tide marks that is undefined as land or sea. I like that there is a word for this space. I cut this cover in half to make the front and back. It is made of a textured white card. The cut intentionally goes through one of the barnacle prints, so that even though the back spine is open, the design joins up when the two halves sit side-by-side. 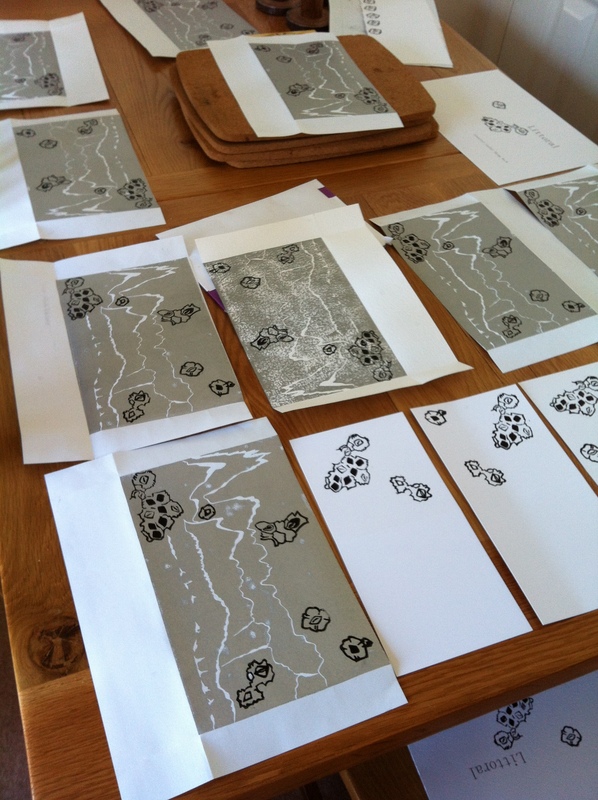 The print-making process was very long and involved a lot of experimentation. As I made four books, and each included two of the silver prints, as well as a cover and each of the poems, there were a lot of prints to be made. I also had to plan how they would be made into the book pages and position the printing in preparation for that. There were some mistakes and some splodges but I had a limited amount of time, energy, paper and space! Some of the mistakes were carried over into the finished books. I had help from my partner with the print-making. She was absolutley invaluable as she fetched and carried the paper before and after printing so that I did not have to keep getting up, as well as cleaning and tidying up for me. It still took us hours! Here is what the finished product looks like. These pictures are of two books, showing what each side looks like. This is the front cover and the book when open, showing the front and back covers, and the two silver prints inside. 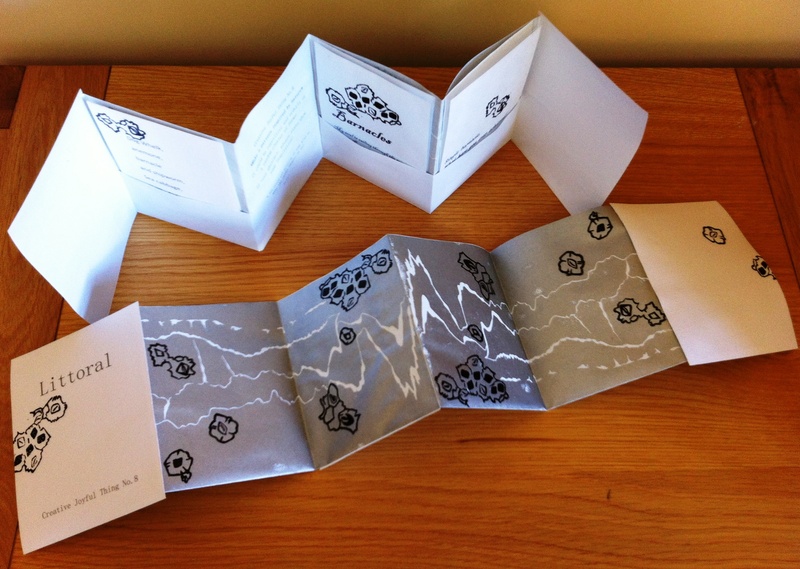 Here is the front cover with the reverse side open, showing the pockets with the poems in them. 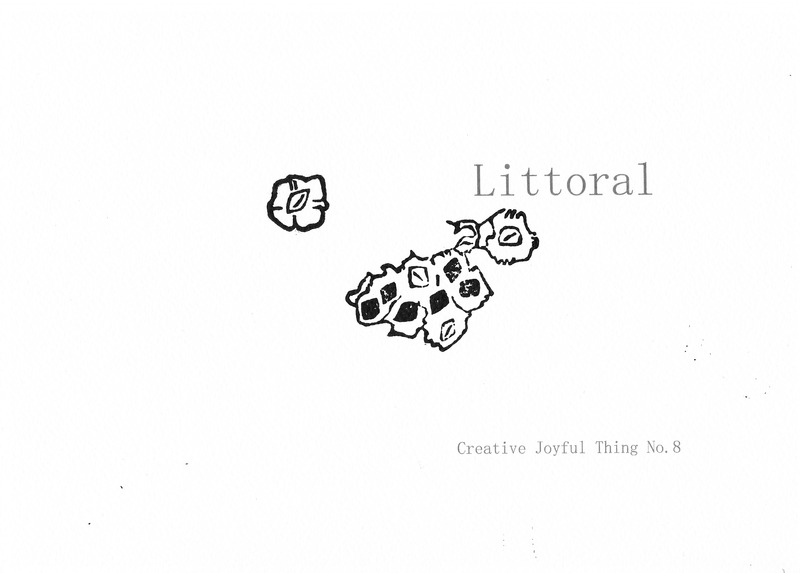 It could be repetitive and orderly or a random cluster of forms. If very abstract, please state/show your inspiration! You could use printing of some kind to make the repeat images, or not. See The Results here and here!